Wildcard was a feature I started a few months ago… But for no reason didn't actually follow up with more posts! It's a shame because I do love the idea of doing things outside of my usual neutral and peachy pink box. 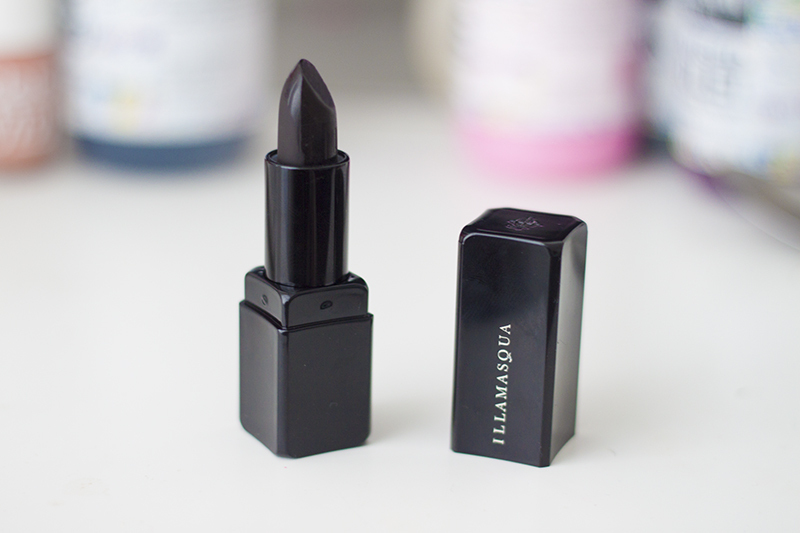 I've decided to bring it back to pay homage to another Illamasqua lipstick, This time: Illamasqua Pristine. Pristine is a pure, matte black. It was opaque in one swipe, I didn't find it hard to apply plus I wasn't disappointed with colour pay off. The finish is matte, but still creamy with a slight glossy sheen. It's not dry, chalky or retro matte style (like Illamasqua Obey) which was my worry when I first applied it. 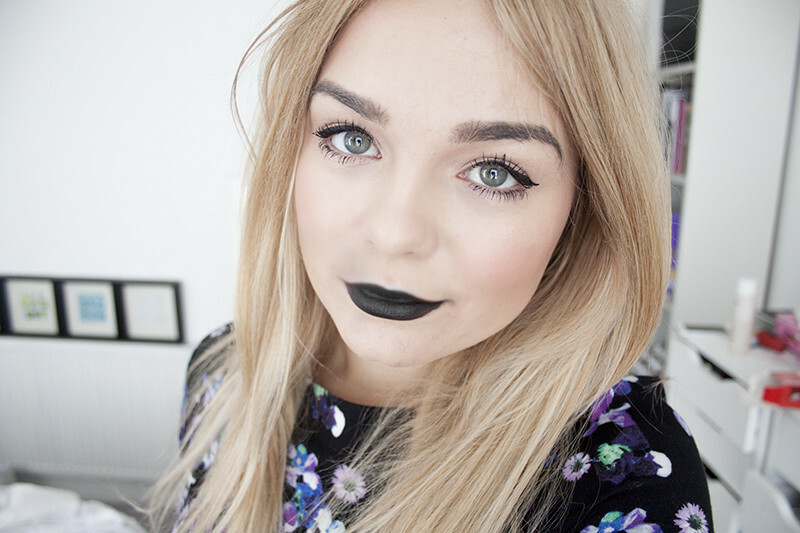 Now black lipstick is an odd one. Would I be brave enough to wear it out... Hmm, Probably not. It's just a little too wild for me. Even in my teenage days I never was brave enough to go full goth and do black lips. However, Halloween is in a few days it's the perfect time to give it a go. It's a shame it'll sit in my makeup collection until Halloween next year because the lipstick quality is out of this world, Exactly as I've come to expect from Illamasqua. As they are such innovative, unusual and out of the box type brand and they excel at all things a little weird and different.